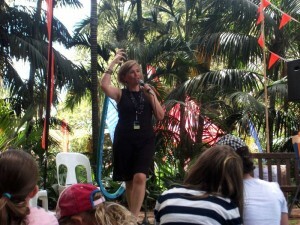 Quirky, energetic and passionate: I love to talk to audiences of all ages. 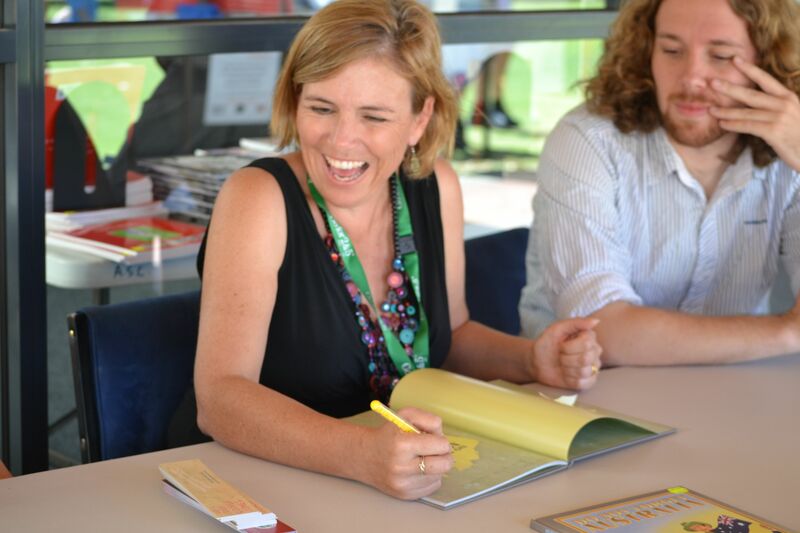 I love to get out and share my love for books, reading and writing, and would love to be invited to come and speak at your school, festival or writers group. I also love to speak to adults on a wide range of topics including following your dreams, belonging, imposter syndrome and more. For details, you can visit my speaking site. 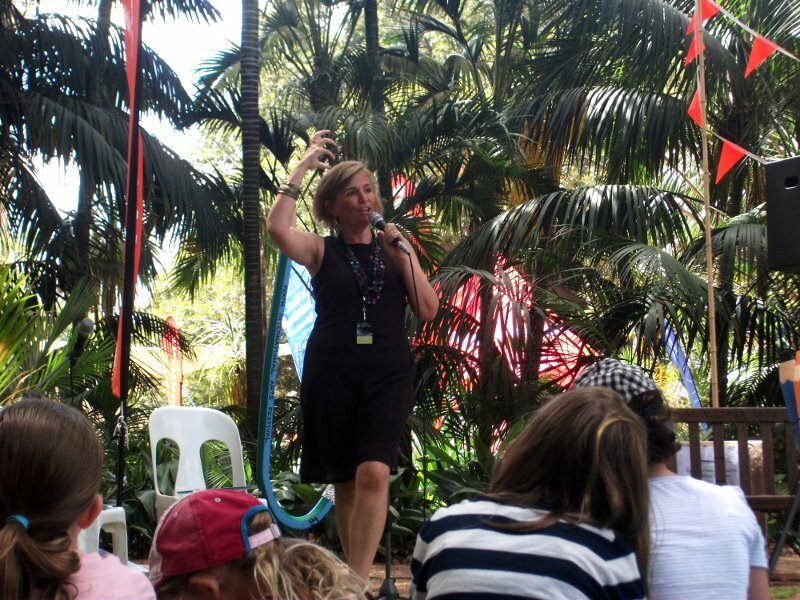 I can work with children of all ages – from early childhood, to year 12 and beyond. 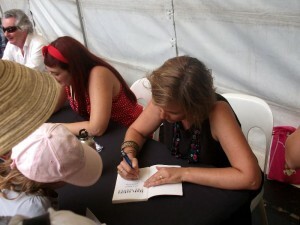 Tailored to the age of the audience, these sessions include a combination of reading from one or more of my books, and talking about the writer’s life – where ideas come from, how they are shaped into stories, and the steps in producing a book. Questions are encouraged, and sessions are usually very interactive. What if you got a card in the mail from a stranger? How would you react? This workshop uses a greeting card as a starting point for plotting a story with YOU as the main character. Suitable for 7-11 year olds. 2018 marks the 100th Anniversary of a battle in the French village of Villers-Bretonneux, a battle which forged a friendship between France and Australia. 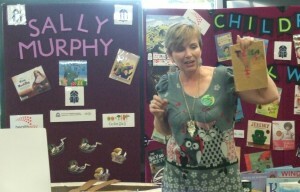 Sally Murphy’s picture book, Do Not Forget Australia tells the story of this friendship in an accessible form. 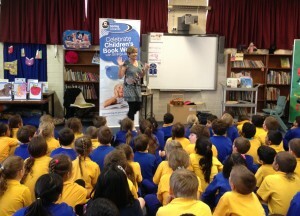 She is available to visit schools,libraries and festivals to share the story in a session tailored to the age of the audience. 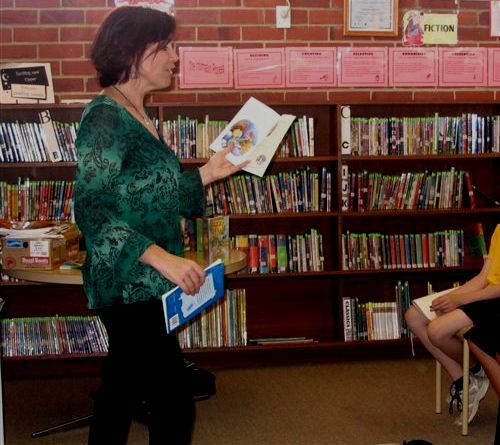 For middle primary through to secondary students, Sally talks about the tougher topics she deals with in her verse novels and historical picture books, and why she feels they are important. Tailored to the age group, a hands on writing workshop where participants are enabled to write free verse poetry. Suitable for primary, secondary or adult participants. For any age group, lots of ideas to get started, and how to keep going. The aim of this workshop is for participants to just write – and they will. For classes who have studied one of her works, Sally will tailor a discussion around themes and issues that have arisen during their reading, giving readers a chance to have their questions answered. Want to build your students’ writing skills in an in-depth experience? Drawing on one or more of her books, Sally will structure a day of activities to your chosen area of writing,including poetry, narrative, character development, plotting and more. Combining creative writing with speaking skills, and exploring social justice and themes of belonging, this workshop uses poetry activities to connect students with classmates, the community and the wider world. I love to talk and to inspire, and am comfortable speaking to audiences of all sizes. I can speak to groups of all ages and backgrounds, can act as an MC, take part in panel discussions and present workshops. I am happy to discuss your needs and create a programme that suits your needs.